I've been making quite a few of my favorite Christmas treats this week at our house. I went ahead and pulled my Christmas apron out. Now don't get me wrong . . . But we traveled this past weekend and are traveling again next week too, and I wasn't quite ready to sign up for 12 full days of Christmas treats baking. So, I made an “I-really-do-own-my-own-life-even-during-Christmas” decision. I decided to bake the recipes I really do love. Share those favorites with whoever I could find to eat them. And when I finished, even if it meant I didn't post every single one in all it's glory for you to see, it really was okay. And if you need it, know that I'm handing you a wee bit of grace today to really only do the things you really want to do this Christmas season too. 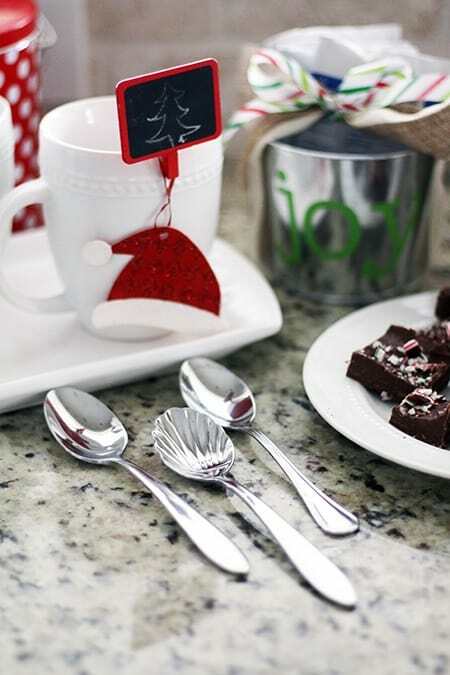 Looking for more homemade Christmas treats and DIY projects? Here you go! December 24, 2015 by Laurie Leave a Comment This post may contain affiliate links, which means if you click on a link and purchase something, I may earn a small commission (at no additional cost to you.) See my disclosure policy HERE. 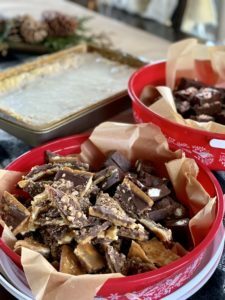 You all know I love (looooove) me some Christmas baking, so I pulled together a roundup of our family's favorite Christmas treats! While we love just about everything Christmas around here, baking is probably the thing I most enjoy during the Christmas season. I'd love to hear what your family makes this time of year too ~ leave a comment to share! Here's a peek at our favorites . . . 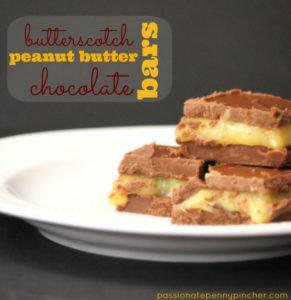 This has been the number ONE recipe on PPP for several weeks now. It's so worth your time (and so simple) and EVERYONE you share this with will thank you (and hound you for the recipe)! 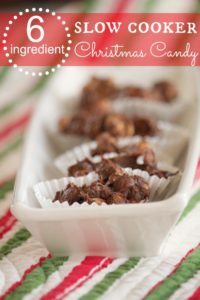 Such an easy way to make delicious treats for teachers, mail carriers, neighbors, and just about anyone on your list. 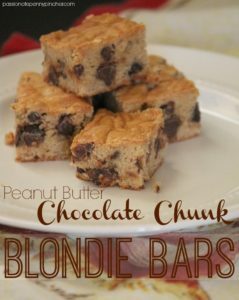 We love these and just made a double batch this week to share. So good! This is by far our family's favorite Christmas tradition. I only make it once a year, but it's just perfect. This one is so simple but looks just perfect. 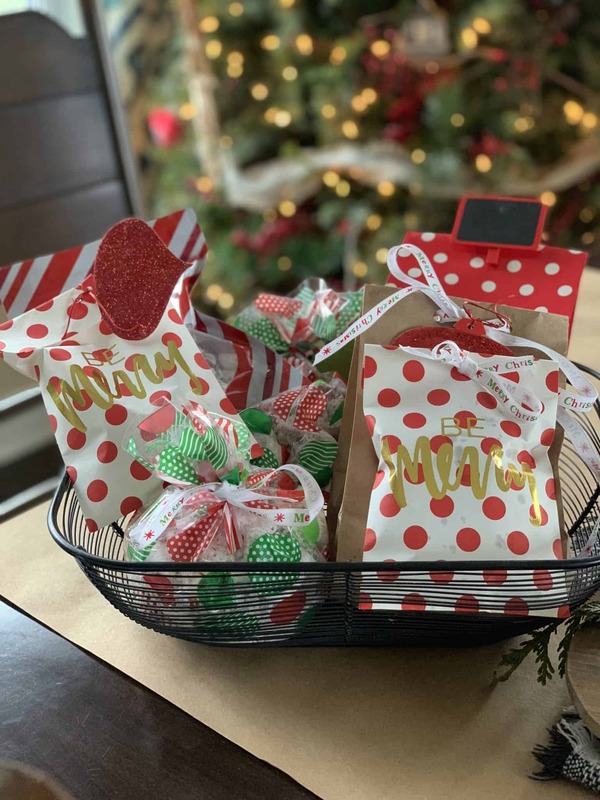 Use a box mix to save time this year! The. best. peanut. butter. fudge. ever. I promise. This one has just three ingredients, and if you have older kids at home they can make it without any help. Love that! We usually make these during Christmas week as a special treat. 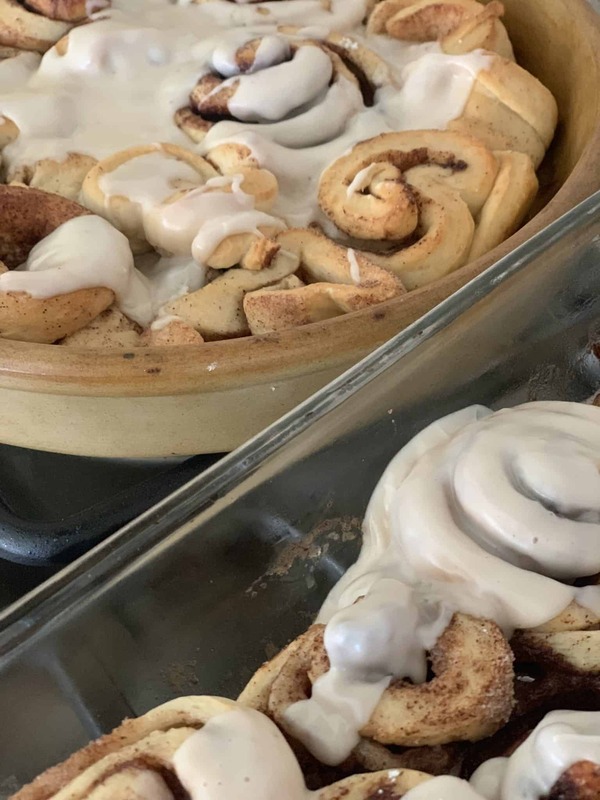 My kids love my almost-homemade-cinnamon rolls anytime of year, but after seeing my friend Jen make hers in the shape of a Christmas tree, I had to tweak our recipe too for the Christmas season! All you need is a jar of peanut butter, some chocolate chips, a box of Chex mix and a bunch of powdered sugar. Honestly this is one of my kids favorites and they devoured ours when we made it over the weekend. This is a Martha Stewart recipe, but they've got so much real butter in them that you'd swear they were Paula Deen's. Super easy to make and I love that you can cook them in one big batch. I'm not kidding, these are the best chocolate chip cookies you will ever eat. For real. It's the only recipe I have down by memory, and I've even tripled the batch before in my Kitchenaid. By far the best cookie recipe around! What recipe is the one your family just has to have at Christmas? I'd love to hear ~ always looking for a few more to add to our baking list each year! December 17, 2014 by Laurie Leave a Comment This post may contain affiliate links, which means if you click on a link and purchase something, I may earn a small commission (at no additional cost to you.) See my disclosure policy HERE. 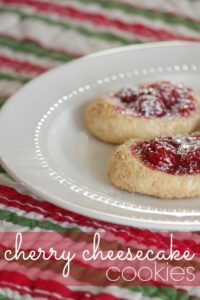 These are one of my favorite Christmas treats to bake, and it packs well to give as gifts! 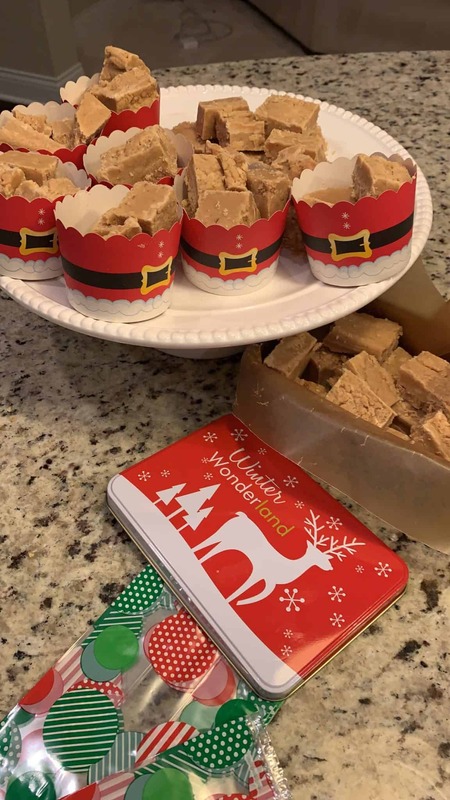 Last Christmas I found this recipe for White Chocolate Gingerbread Bars (originally adapted from Martha Stewart), and couldn't wait to try them out. They were perfect, and such a nice different treat to bake. Preheat oven to 350 and spray 17x12" baking pan with cooking spray. Mix together butter, brown sugar and white sugar with a mixer until fluffy. Add eggs and yolk, 1 at a time and mix well. Add in vanilla and molasses (or honey if substituting). Reduce mixing speed to low. In separate bowl, mix together flour, baking soda, salt and spices. Slowly add flour mixture to butter mixture, beating just until combined. Pour into prepared pan and bake 350 for 25-30 minutes. Cool in pan on wire racks. 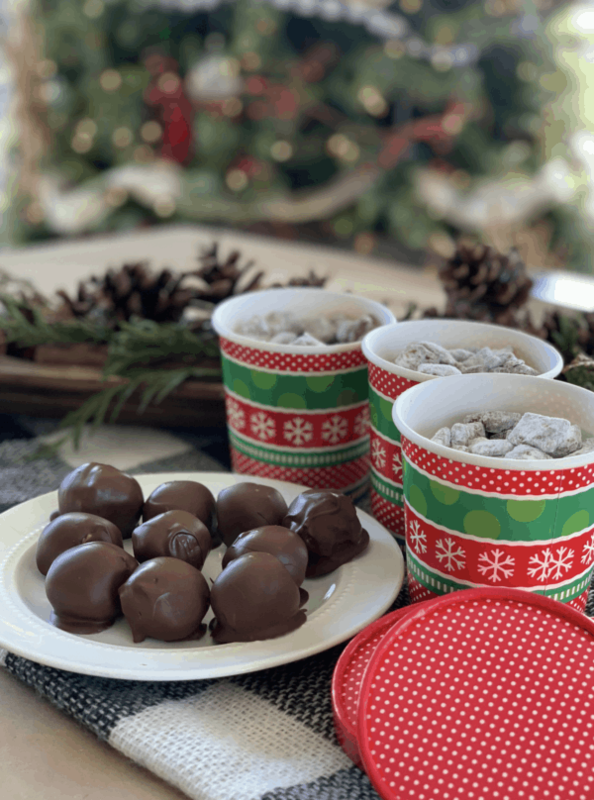 Do you have a favorite Christmas treat that you love to make? Leave a comment sharing the recipe, and feel free to link to it on your blog or another page and we might sample it here! Here are a few more recipes you may want to try . . .
November 20, 2014 by Laurie Leave a Comment This post may contain affiliate links, which means if you click on a link and purchase something, I may earn a small commission (at no additional cost to you.) See my disclosure policy HERE. 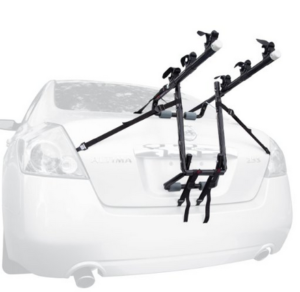 It's day thirteen in our 25 Days of Christmas Deals for Dads series, and this is such a great deal Right now get this Deluxe 3 Mount Trunk Mount Bike Rack for a guy in your life for just $37, compared to it's regular price of $85. Thanks, A Thrifty Mom! See more Christmas Deals for Dads. December 23, 2013 by Laurie Leave a Comment This post may contain affiliate links, which means if you click on a link and purchase something, I may earn a small commission (at no additional cost to you.) See my disclosure policy HERE. 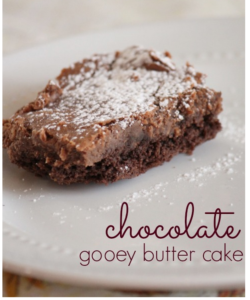 This Chocolate Gooey Butter Cake recipe though is one I've always wanted to try, and it was easy to pack up to give as gifts. I've made the original gooey butter cake for years and while I think that one might still be my favorite, this was pretty yummy. . . especially for chocolate lovers! Here's the recipe so you can see what you think. . .
Heat oven to 350 and grease 13"x9" pan. In large bowl, mix together one egg, one stick melted butter, and cake mix. Stir until well blended. Beat cream cheese until smooth using mixer. Add in additional 2 eggs and cocoa powder and mix well, then add in powdered sugar. Mix until all ingredients are well mixed together. Slowly add in additional 1 stick melted butter and vanilla, continuing to beat until mixture is smooth. Let cool on wire rack and enjoy! Recipe adapted from Food Network. Looking for more penny pinched dessert ideas? Here you go. December 21, 2013 by Laurie 1 Comment This post may contain affiliate links, which means if you click on a link and purchase something, I may earn a small commission (at no additional cost to you.) See my disclosure policy HERE. My friend Cheryl was sweet enough to bring down these cookies for me to share with you earlier this week, and I'm so excited that she did! They were delicious, and a yummy different treat that I hadn't tried before. She found the original recipe at Mel's Kitchen Cafe, so you can check it out HERE as well for more tips. If you have another special treat you've made this Christmas, I'd love to hear about it! In separate bowl, cream together cream cheese, butter and sugar until smooth using electric mixer, for about two minutes. Put dough in refrigerator for 30 minutes until firm. Put graham cracker crumbs in shallow bowl. Roll dough into 1 1/2-inch balls, then cover with graham cracker crumbs. Bake 2" apart on baking sheets, and make a small hole in the center of each ball. Put 3 cherries in the center of each cookie. Bake 12-14 minutes, until lightly browned around edges. Cool for 5 minutes on baking sheet then transfer to a wire rack to cool completely. 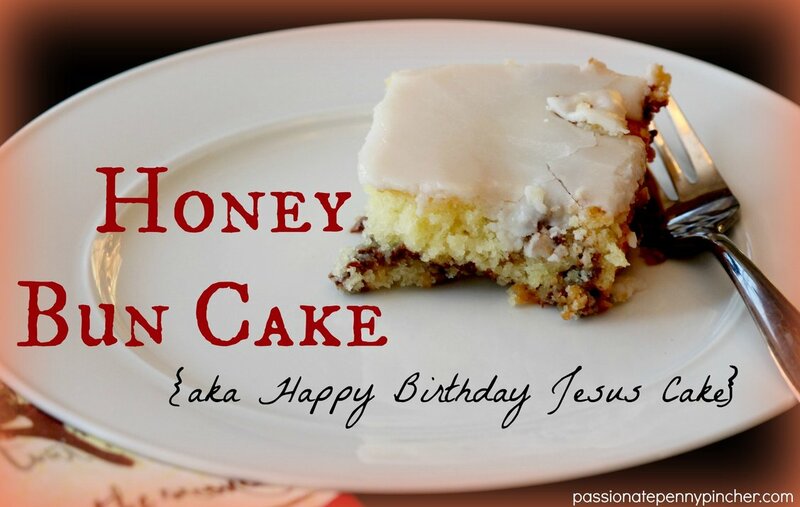 Optional ~ sprinkle with powdered sugar, enjoy! Recipe adapted from All Recipes. Looking for more penny pinched dessert ideas? Here you go. December 20, 2013 by Laurie 1 Comment This post may contain affiliate links, which means if you click on a link and purchase something, I may earn a small commission (at no additional cost to you.) See my disclosure policy HERE. You all know when I saw the words “slow cooker” and “chocolate” all together in the same recipe, there was no way I couldn't try it out. 😉 This is the easiest recipe I think I've ever made, and it makes a ton . . . perfect if you need something simple to make this weekend to share, and a great way to free up your oven! 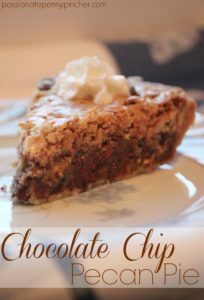 I changed the original recipe a bit by topping it with sea salt at the end and using a little less white chocolate, and I'm betting you could make other changes as well. Here's the recipe if you'd like to try it out too! Cook on low setting for 2 hours. Stir ingredients around and cook an additional 20 minutes. Remove from slow cooker and place in small muffin cups. Cool until hardened for at least one hour ~ enjoy! December 19, 2013 by Laurie 2 Comments This post may contain affiliate links, which means if you click on a link and purchase something, I may earn a small commission (at no additional cost to you.) See my disclosure policy HERE. This is a guest post from Alicia, and I'm just thrilled that she offered to share it with us! Alicia is mom to two children, and shares simple recipes using items you have in your pantry on her blog Everyday Home Cook. 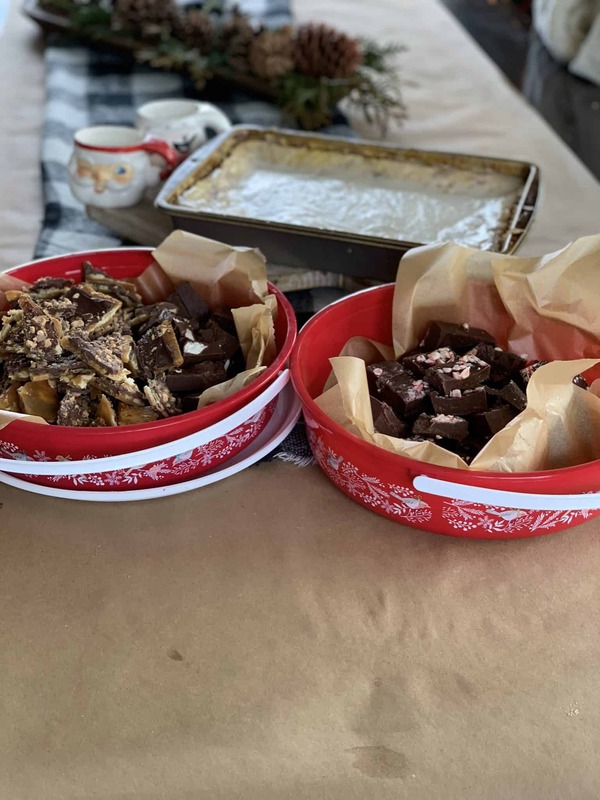 Follow her on Facebook and find more of her delicious recipes like Blue Cheese Appetizer Pizza, Cranberry Almond Bars, Simple Kettle Corn, Shortbread Sandwich Cookies and No Knead Bread over HERE. Soft & Chewy Molasses Cookies are a perfect addition to your holiday cookie tray. They are not as spicy as gingerbread (not to mention not as much work! ), but very flavorful and sweet. This recipe makes a lot of cookies, so find a festive plate and share with family and friends! December 18, 2013 by Laurie 9 Comments This post may contain affiliate links, which means if you click on a link and purchase something, I may earn a small commission (at no additional cost to you.) See my disclosure policy HERE. This is one of my all-time favorites recipes, given to me by a friend who baked it for our family soon after we had our third baby. I'm pretty sure that I ate nothing other than Honey Bun Cake for two days straight after she brought it! It’s undoubtedly the yummiest, moistest, make-me-the-happiest breakfast cake ever. . . I promise. We usually bake it early Christmas Eve so it’s marked off our to-do list, and you can just imagine how yummy the kitchen smells the rest of the day (heavenly!) Last year my littlest (who was then just four), made several comments asking why we get all the presents when it’s Jesus’ Birthday. She thought we should make Him a Ladybug Cake, but was pretty content with this one after it was all baked up. Let me know if you try it out. 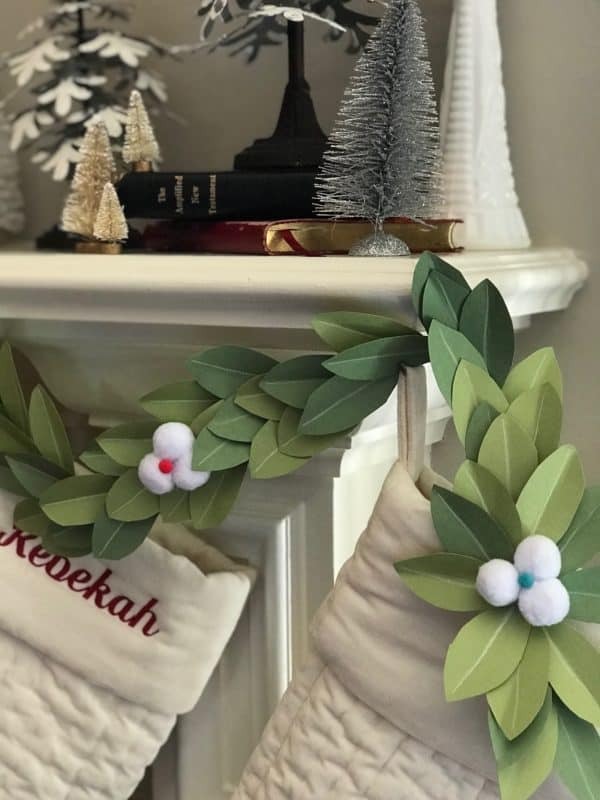 . . I’m almost positive it will become a favorite in your home too! Mix the cake mix, sour cream, eggs, sugar & oil. In separate bowl stir together the brown sugar & cinnamon. Pour 1/2 of the cake mixture into 9×13 pan. Then add the brown sugar cinnamon mixture. Pour remaining cake batter on top. While cake is baking, mix the icing ingredients all up together and pour over cake after it's cooled slightly. December 17, 2013 by Laurie 2 Comments This post may contain affiliate links, which means if you click on a link and purchase something, I may earn a small commission (at no additional cost to you.) See my disclosure policy HERE. 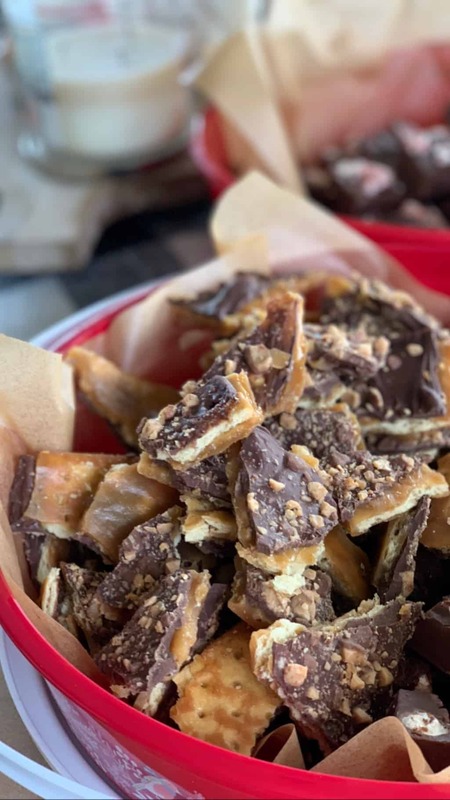 This has been one of those crazy-busy-drive-a-momma-crazy kind of days, but I did manage to sneak in a few pics of one of our favorite homemade treats. Facebook has been making nuts (if you'd like to see PPP on Facebook you'll want to check this out), I broke my youngest's Christmas handprint plate from school . . .that I literally just had gotten (a few very sweet teachers went out of their way so I'd have a full set of all of my children's plates – of course I managed to drop it and it smashed all over the garage floor ~ still sniffling over that one), and I'm just feeling a wee bit taken over by those Christmas Crazies all over again. Anywhoo, here's the recipe (after a whole lot of rambling you probably weren't quite up for ~ sorry folks!) The good news? Even on a bad day I know deep down I'm still crazy blessed, and undoubtedly things will feel better in the morning. (Isn't that always the case?) If you've had one of those crazy-busy-what-and-really-can-I-survive-til-December-25th? kind of days, hugs to you too. Heat oven to 350 and grease 9x13 dish. In small bowl, place peanut butter chips and microwave for 1 minute, then stir. Microwave chips an additional 30 seconds or until chips are melted and smooth when stirred. Cool for a few minutes. In mixing bowl, beat butter and sugar until fluffy. Beat in peanut butter chips, flour and salt. Bake 25-30 minutes, until brownies begin to pull away from sides of pan. December 16, 2013 by Laurie 6 Comments This post may contain affiliate links, which means if you click on a link and purchase something, I may earn a small commission (at no additional cost to you.) See my disclosure policy HERE. 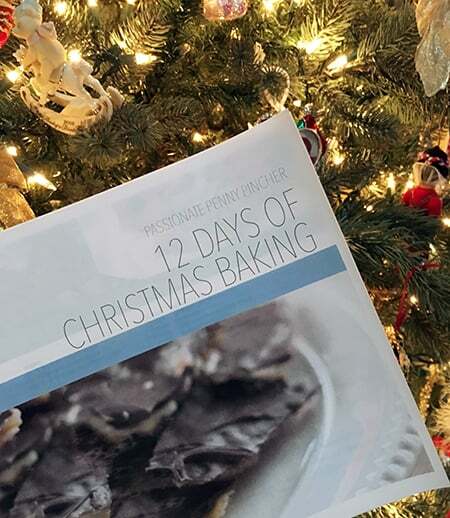 This is a guest post from my friend Julie at Less-Than-Perfect Life of Bliss, and I can't even begin to tell you what a blessing it is to have her helping out with tonight's seventh day of our 12 Days of Christmas Baking series! I met Julie and her sister Amy a few months ago at a blogging conference and she was so sweet, and when I checked out her blog I fell in love. Julie loves Jesus and her family, has quite possibly the most beautiful home I've ever seen, and was sweet enough to help me out a recipe this week. Be sure to check her out on Facebook and Pinterest, and visit her at Less-Than-Perfect Life of Bliss blog as well! Less-Than-Perfect Life of Bliss, and I'm excited to be a part of Laurie's 12 Days of Christmas Baking! If you've read my blog, you know I'm a fan of easy, yet delicious recipes, and this cake is the perfect example of that. reinvent the wheel, so this recipe starts with a basic chocolate boxed cake, baked according to package directions. I baked mine in a bundt pan, but it could also work as a layer cake. Once the cake is baked and cooled, it's time for the fun part. Continuing with the easy theme, scoop out some chocolate fudge frosting into a bowl and microwave it until is just barely melted. Then, carefully pour the melted frosting evenly over the cake, letting flow down the sides a little. frosting while you mix up the peppermint glaze. Thanks so much to Julie for sharing this wonderful recipe with us! Be sure to visit Julie at Less than Perfect Life of Bliss ~ here are a few posts you won't want to miss . . .
December 12, 2013 by Laurie 3 Comments This post may contain affiliate links, which means if you click on a link and purchase something, I may earn a small commission (at no additional cost to you.) See my disclosure policy HERE. 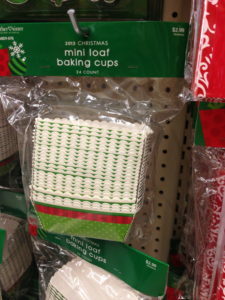 I found these super cute cardboard mini cake containers at Hobby Lobby a few weeks ago, and knew I had to grab them to use as small gifts for a few people this Christmas! What I wasn't sure about is what I could actually bake in them (they're about 3″x2″ big), so experimented with this chocolate pudding cake recipe last weekend and they were perfect. 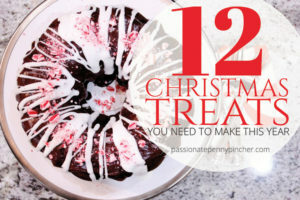 You can easily make this recipe in a bundt cake (see how I've tried that before over HERE), or mix these up into smaller pans and give as gifts this Christmas. They're so simple, really cute when you wrap them up, and it's been all I could do to not let my family eat them all up before they even made them out the door. Enjoy! Beat first six ingredients for three minutes. Add chocolate chips, beat 1 more minute. Pour in bundt pan and bake at 350 for 50-55 minutes. December 11, 2013 by Laurie Leave a Comment This post may contain affiliate links, which means if you click on a link and purchase something, I may earn a small commission (at no additional cost to you.) See my disclosure policy HERE. It's been one of those crazy busy days around here (heading out for my son's Christmas band concert as soon as this is done . . .), so I'll keep tonight's recipe short and sweet! Lauren from Gaining Mommymentum suggested this recipe over on the PPP Facebook page, and we absolutely loved it. (It makes a ton.) 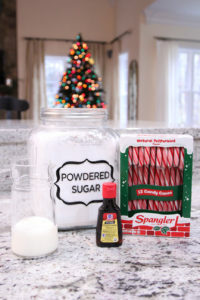 This would be perfect to have on hand through the Christmas season, and if you're going to a get together it's a great dessert to take! Here you go . . . Melt butterscotch, chocolate chips and peanut butter until smooth over medium heat. Pour half of hte mixture into the bottom of a greased 9x13 pan. Chill in freezer until hardened. Melt butter on stovetop, then add instant pudding and milk, boil one minute. Add confectioners sugar and mix well, stirring completely. It will be a strange consistency, but will mix together. Pour pudding mixture over chocolate layer and freeze again until hardened. If adding peanuts, mix them into the rest of the chocolate mixture and spread on top of pudding layer. Chill one more hour in freezer until set. Keep refrigerated until serving ~ enjoy! December 11, 2013 by Shannon 2 Comments This post may contain affiliate links, which means if you click on a link and purchase something, I may earn a small commission (at no additional cost to you.) See my disclosure policy HERE. With all the baking going on right now, I thought it might be nice to do a roundup of all the best baking coupons currently available! Remember you can always check the PPP Coupon Database when looking for a specific coupon (just type in what you're looking for), but if you just want to gather up a few right now before shopping for baking supplies over the next week or so, here you go. . .
December 10, 2013 by Laurie Leave a Comment This post may contain affiliate links, which means if you click on a link and purchase something, I may earn a small commission (at no additional cost to you.) See my disclosure policy HERE. 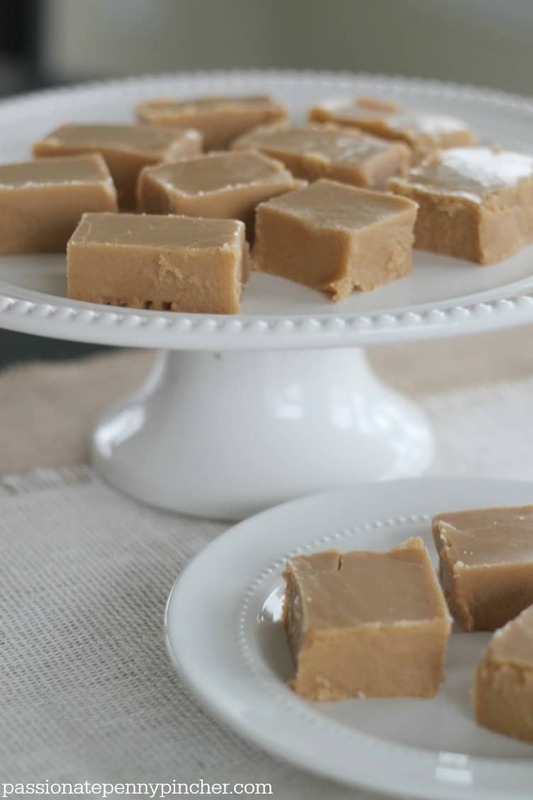 This is such an easy fudge recipe, and you can easily swap out the peppermint on top for a cup of marshmallows mixed in to make marshmallow fudge. If you've got these 5 ingredients and 20 minutes of time, go ahead and get started! Combine chocolate chips, condensed milk and salt in heavy saucepan and heat over low heat stirring constantly until chips are completely melted. 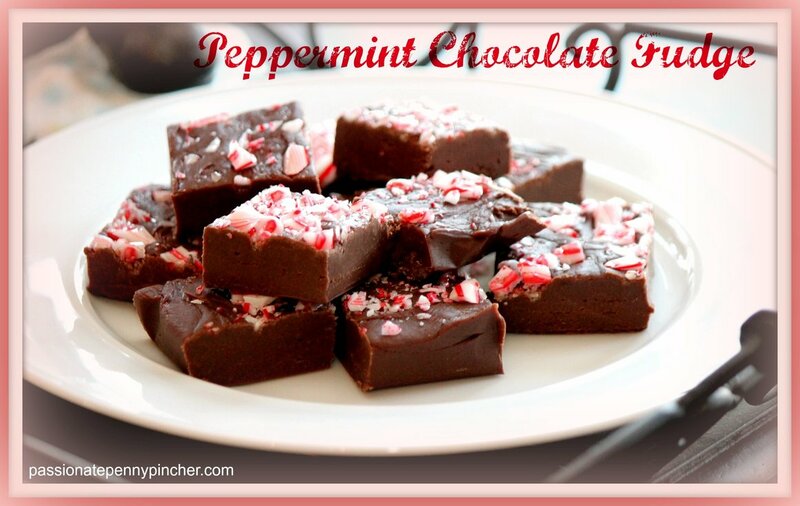 Pour into pan and drizzle crushed peppermint all over fudge. Press peppermint into fudge lightly. Refrigerate for two hours, and cut into squares. To store, keep fudge covered in refrigerator. December 9, 2013 by Laurie 8 Comments This post may contain affiliate links, which means if you click on a link and purchase something, I may earn a small commission (at no additional cost to you.) See my disclosure policy HERE. The recipe comes from Patti’s Restaurant in Western Kentucky (also home to the famous Boo-Boo Pie, and the largest Pork Chops you’ve ever seen), so you know it’s gotta be good. In fact, it's my go-to pie to make this time of year. Mix together sugar and flour. Add melted butter and blend well. Stir in eggs, chocolate chips, nuts and vanilla. Pour mixture into pie shell. Bake in oven for one hour or until golden brown. Pie will wiggle a little when done; but will continue to set as it cools. Serves 8. Looking for more penny pinched dessert ideas? Check out my favorite Christmas Crack recipe, and try out these Sweet Marie Bars! December 7, 2013 by Laurie 10 Comments This post may contain affiliate links, which means if you click on a link and purchase something, I may earn a small commission (at no additional cost to you.) See my disclosure policy HERE. 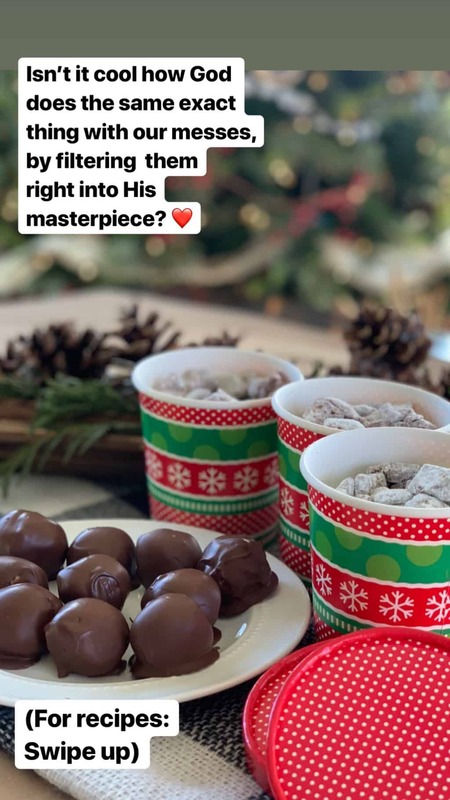 As we get ready for Christmas in our home, I'll share a few favorite Christmas treats along with a recipe or two from some guest bloggers, and would love to hear your favorite Christmas recipe ideas too. 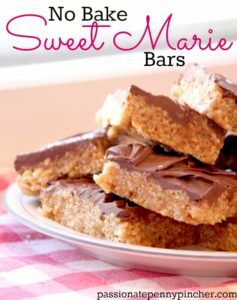 I tried out these No Bake Sweet Marie Bars for Thanksgiving this year and our family literally devoured them (seriously, they didn't stand a chance once my nieces and nephews stepped foot in the kitchen), so it looks like a new treat will be added to our favorites list. I have no idea what the history is behind the name “Sweet Marie Bars” is, so if anyone knows leave a comment to fill me in! Either way, these would make a fantastic treat to snack on this Saturday afternoon, and you could easily wrap them up to give as a gift this year. Note: It occurred to me after making these that you could probably substitute the corn syrup for honey, so the next time I make these I'll try it out using honey instead. If anyone happens to try it that way, let me know if it works for you! Mix together peanut butter, corn syrup, brown sugar and butter in saucepan and cook on medium low heat until boiling. Add in Rice Krispy Cereal, then press into baking dish. Spread chocolate chips over the bars, and leave them for a few minutes to melt. Using knife or spatula, spread melted chocolate over bars.